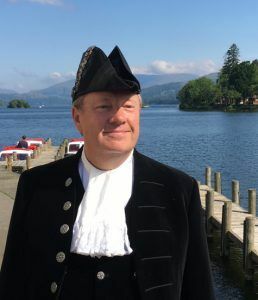 Simon Berry, High Sheriff of Cumbria is gearing up to bed down under the stars alongside other campers at the annual Big Sleep next month to raise money for older people this winter. Organised by Cumbria Community Foundation, the annual Big Sleep takes place on Saturday 9th March opposite the Low Wood Bay Hotel on the shore of Lake Windermere. The event aims to raise awareness of the plight of older people who struggle to heat their homes during the cold winter months. People taking part are encouraged to get sponsorship for braving the cold winter weather overnight. All money raised supports the Winter Warmth Appeal – a pot of money distributed to older, vulnerable Cumbrians via Age UK to help pay towards heating bills. Since its launch the Big Sleep has raised more than £100,000 for the Appeal, which benefits around 1,000 older people each year. People can sign up to take part in the Big Sleep by visiting: https://www.cumbriafoundation.org/bigsleep/ It costs £35 for adults and £5 for children. The entry fee covers refreshments, an evening meal, activities and breakfast. For more information about the event, contact Anne Meeghan by emailing anne@cumbriafoundation.org or calling 01900 825760. If you can’t join the Big Sleep but would like to donate to the Winter Warmth Appeal, visit: http://www.cumbriafoundation.org/winter-warmth-fund/give-to-the-winter-warmth-fund.